Cricket originated 500 years ago, somewhere in the period of the dark ages. Since then, the game has grown to become the second most popular sport in the world, attracting close to 2.5 billion loyal followers and it is only poised to continue spreading its roots even deeper. Yet, in certain countries, cricket has just oddly never caught on. The United States is one such nation, where continuous efforts to grow the game have been to no avail. The US national cricket team became an associate member of the International Cricket Council back in 1965. In over 50 years, the best result the players have achieved is a 6th place finish at the 2001 World Cup Qualifier. This is a good time to say that I am an Indian born in the United States…and after witnessing American culture and the stagnancy of cricket here for the past 20 years, these are the three major reasons as to why I can confidently say the sport will never take off around the US (unless, of course, some changes are made). 1. The duration of a full 50-over cricket match is simply too long. 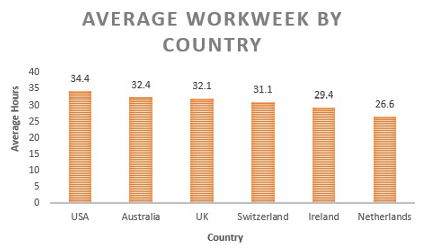 Americans, on average, work the most hours per week compared to any other country. As a result, they can only afford to go to a sporting event for a couple of hours in the evenings on weekdays. It is impossible to fit a cricket match into that short of a timespan, unless the match is maybe limited to 20 overs per innings (T20 style). Of course, scheduling cricket matches on weekends would be ideal, but most Americans would rather not spend an entire day of their precious weekend at a cricket match either. Ultimately, Americans go to sporting events because they like to relax for a couple of hours and drink a beer or two. 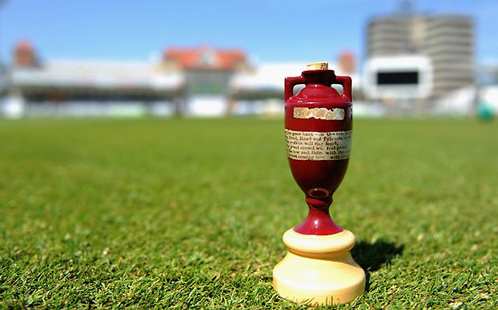 Unless a cricket match can be shortened down to around three hours in total, there is no way the sport will garner widespread interest. Perhaps 20-over matches or even less can be specially adopted in the United States to shorten the duration of matches. 2. The amount of action compared to the total duration of a cricket match is too little. American culture is extremely fast paced, and Americans like to see both entertainment and excitement. As a result, many of them are turned off by the fact that cricket is often played at a leisurely pace. 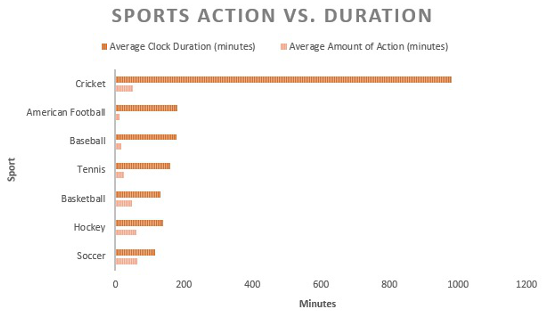 The average action to duration ratio of cricket is .052, while American football’s is .059, baseball’s is double at .101, tennis’s is .160, basketball’s is .367, hockey’s is .429, and soccer’s is .554. While the action to duration ratio of cricket would be difficult to change, perhaps other adjustments could be made. For instance, the cricket ball could be made a bit lighter so that more fours and sixes would be hit. Thus, even though the action to duration ratio stays the same, the amount of excitement and entertainment is maximized. FIFA made its soccer ball a bit lighter during the last FIFA World Cup to increase the speed of matches and also attract more fans to the sport. Why can’t cricket the same model be implemented in cricket? 3. Money. There isn’t much to be said here, but this aspect of course will always continue to be an issue until the US domestic fanbase in cricket grows. Just as a comparision, the average salary for each baseball player in the United States is $4mn, while the total salaries paid out to all American cricketers by the United States of America Cricket Association in 2013 was roughly $250,000. Nihar Suthar is a narrative non-fiction writer, covering inspirational stories around the world. Recently, he completed a book, titled “The Corridor of Uncertainty,” on the miraculous rise of the Afghan cricket team. Purchase your copy at www.thecorridorofuncertainty.com.